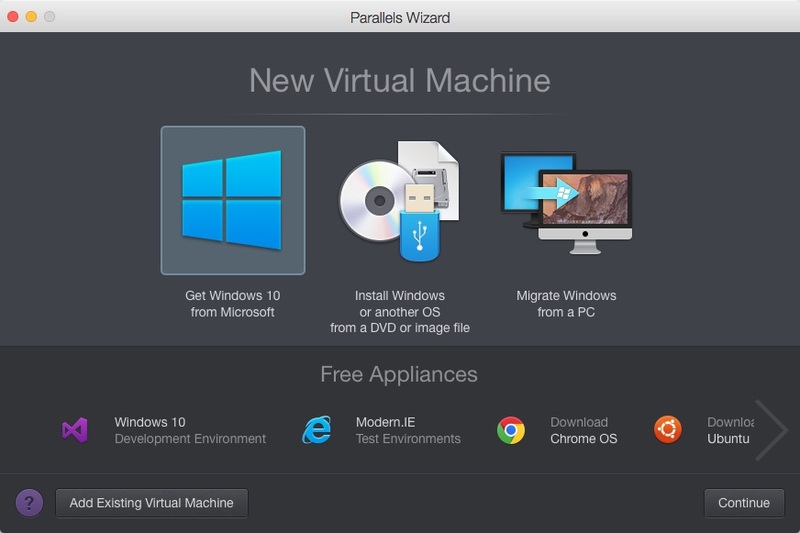 Parallels helps Mac users run virtual machines with other operating systems like Windows, Linux and even a test version of macOS or OS X on their Mac or MacBook. Parallels 12 updates the software with some interesting new features and support for the latest versions of the major operating systems from Microsoft, Apple and more. 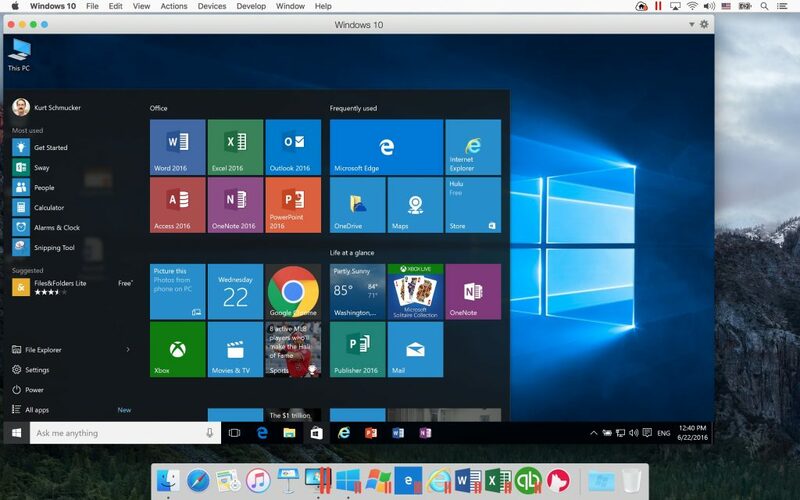 After the user installs Parallels Desktop 12 they can fire up the program and create a new virtual machine to install an operating system on. The new setup screen lets the user select which operating system to install. Since Microsoft doesn’t give away Windows 10 unless you buy a new computer, you will need to buy a copy. Parallels lets the user buy a license and download the OS directly inside Parallels Desktop 12. 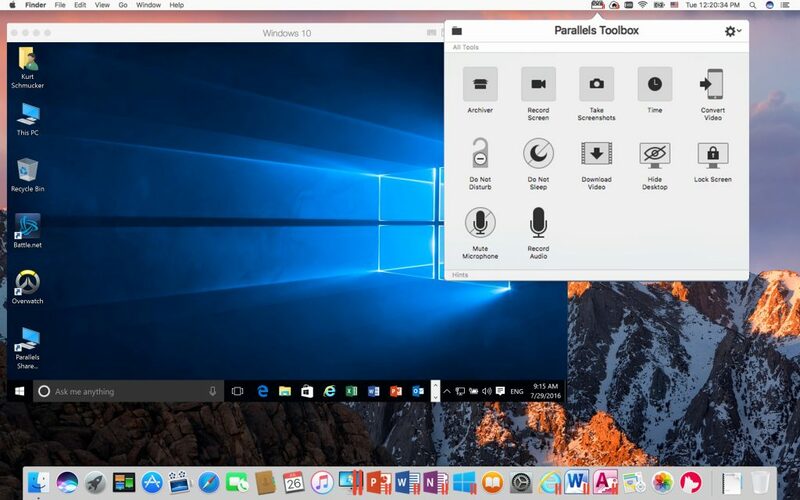 Parallels will include a new feature in Parallels Desktop 12 called Parallels Toolbox. 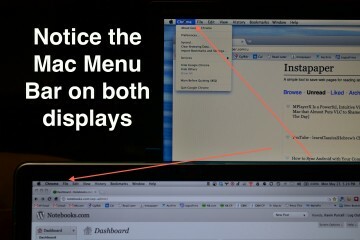 The utility runs independent of Parallels Desktop 12 and sits in the menubar on the OS. It comes with a PD12 subscription. The $79.99 fee for PD12 includes the new Toolbox. 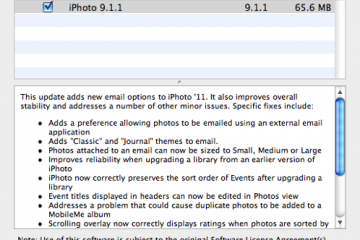 Here’s what you get in Parallels Toolbox. Archiver – compresses files to make them take up less space as you email them or just back them up to another safe space. 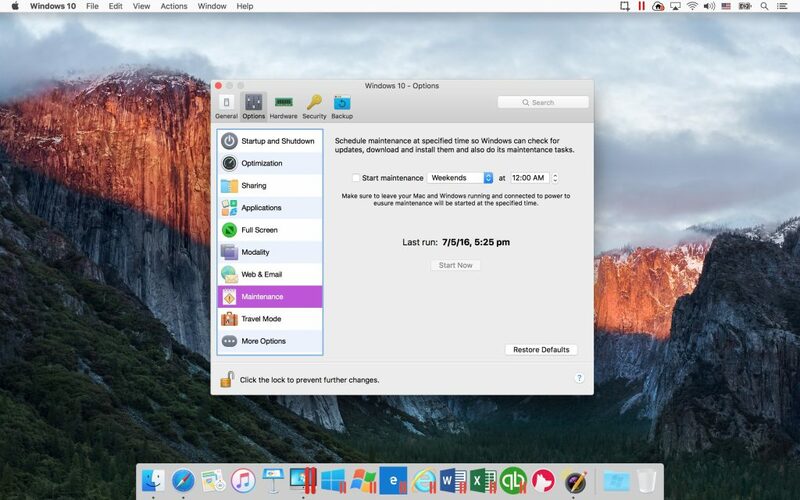 Record Screen – Do you need to show someone how to do something on a Mac or in your Windows virtual machine in Parallels Desktop. 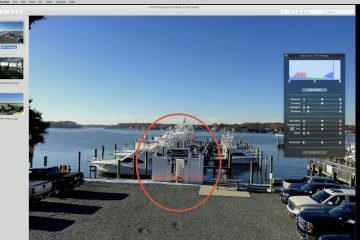 Record the screen using this tool. Take Screenshot – Takes quick image of what’s showing on-screen. Time – time-based tools like alarms, countdown timers, date countdown or a stopwatch. Convert Video – drag a video of one format to this tool and it will offer to covert it to another format, like MOV to MP4. Do Not Disturb – turns on Do Not Disturb so that you don’t get distracting notifications during a screen recording or while presenting. Do Not Sleep – keeps the computer from going to sleep. Download Video – downloads your video that you uploaded to YouTube or Vimeo to name a few sites. 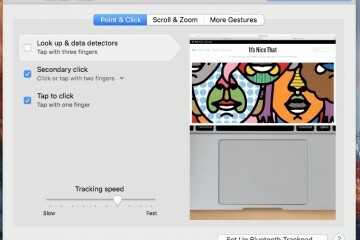 Hide Desktop – hides anything that’s on the Mac desktop, which helps in screenshots or screen recordings. 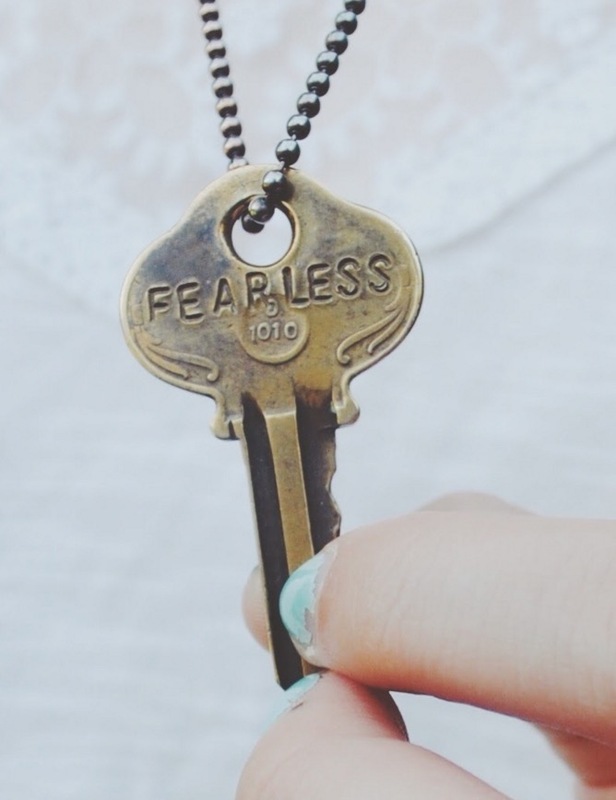 Lockscreen – locks the screen immediately, so that you will have to enter a password if you’ve set the OS up to require it. Mute Microphone – mute’s your mic, helpful if you’re in a video call but need to mute the mic. Record Audio – quickly records some audio, great for things like voice memos. That’s a great bunch of utilities and worth the $9.95/year subscription fee alone if you don’t need Parallels Desktop 12. In addition to the better VM setup features for Windows and Parallels Tools, Parallels Desktop 12 adds a number of other great features, like backup of their virtual machines with Acronis True Image. This is included in the subscription and lets the user back up their OS inside a VM with full and incremental backups. 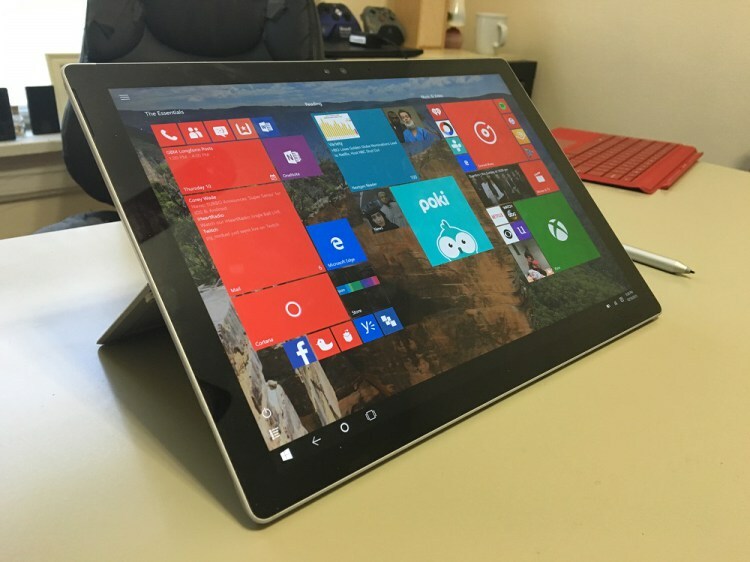 Users can also schedule Windows maintenance tools when the user wants instead of forcing them to follows Windows 10’s schedule. 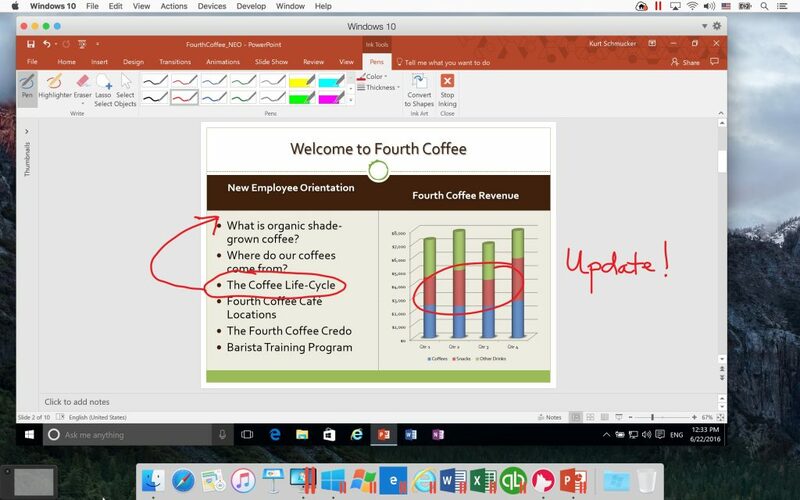 Use Office 2016 for Windows on a Mac. Cortana’s supported still, but now they can use the Always On feature that comes in Windows 10. Get Microsoft Office 2016 support on a Mac, since some Office users prefer the Windows versions over the Mac version of Office. Faster suspends of your VMs. 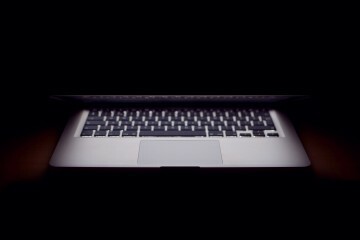 Run a VM in background – each time you log into your Mac it runs automatically. Open Windows program files in Safari and they will automatically open in your VM version of the windows program (i.e. a PowerPoint 2016 file or Word 2016 file). The pop up menu on the dock icon includes Windows program specific features as always, but now has app settings like a feature to auto hide Mac apps when you run PowerPoint, or always full screen. Recent files in Windows on VM finds recent files opened on the Mac side of things. Tool to free up disk space used by your VM and now uses Sierra Optimized Storage from within Parallels Desktop 12. They will show up in the tool in macOS 10.12 Sierra. Optimize the speed of the network for as low as 3G or Edge and up to Cable speeds. Registry editing via a one click tool. Play Blizzard Overwatch in Windows on a Mac. 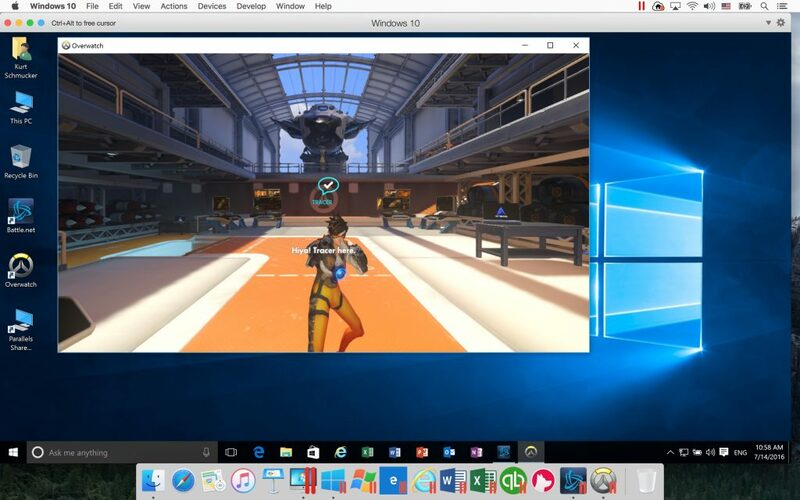 The creators of Blizzard Overwatch worked with Parallels to make a customized version for Parallels Desktop 12 that lets gamers play the game inside Windows 10 using Parallels Desktop 12. They customized it to work specifically for the PC on a Mac. In addition to this one game, gamers can also use the Windows 10 Xbox streaming feature to play their Xbox games on their Mac. 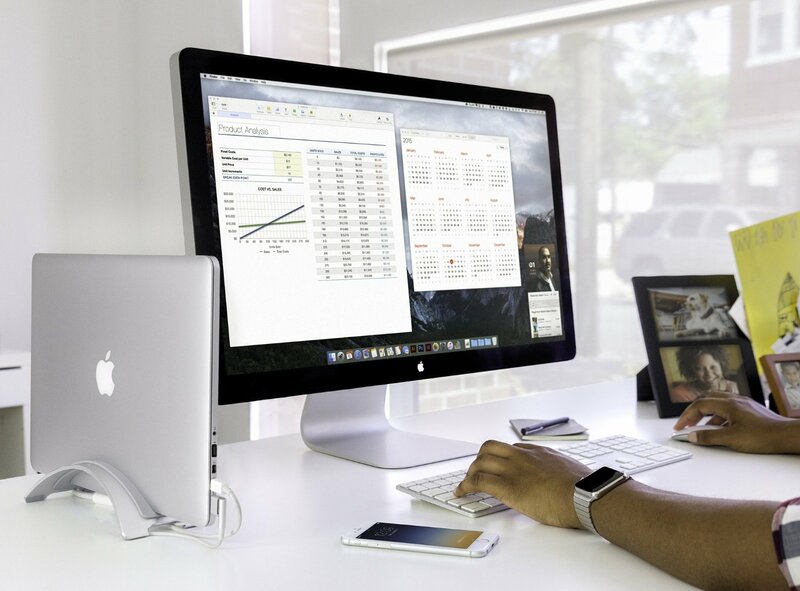 The company will also update Parallels Access to version 3.0. This app runs on iPad, iPhone and Android so that users can run their desktop Windows and Mac apps on their mobile device.